If you possess a naturally caring personality and would like to be a part of a team committed to improving the lives of patients, you should consider a career as a Certified Nursing Assistant. As an important member of the healthcare team, certified nursing assistants (CNAs) provide direct care to patients or residents in long-term facilities under the direction of a licensed practical nurse or registered nurse. In long-term care, their activities include assisting residents with the activities of daily living, responding to patients’ calls, making beds, measuring fluid intake and output and vital signs, assisting patients with mobility, and participating in rehabilitative treatments. 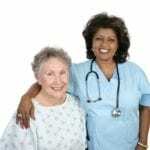 Since they spend a great deal of time with patients, they might also observe patients closely and report any adverse reactions to nurses or physicians. All their duties are related to the care, comfort, and safety of patients. A CNA’s role is physically demanding, so it is essential that you be physically up to the task of lifting, bending, and standing for long hours. Patients can be aggressive and unpredictable, but your desire should always to be to treat them with dignity and respect. A clear understanding of the role and position of a CNA in healthcare will shield from unpleasant surprises when you commence practice. For dedicated healthcare professionals, the rewards more than surpass the challenges. The training and experience you receive from CNA classes will lay the foundation for other careers in healthcare, and the knowledge will last a lifetime. The Certified Nursing Assistant program at Kansas College of Nursing adheres to the guidelines of the Kansas State Department of Health and Environment, so graduates are eligible to sit the Kansas State Certified Nurse Aide examination. The program comprises of 90 hours of theory, skills lab, and supervised clinical practicum in a long-term care facility. Students complete part of the coursework online and the rest in a classroom and clinical setting. Course topics include medical terminology, basic nursing skills, role and responsibility of nurse aides, vital signs, infection control, patient hygiene, nutrition and feeding, and patient rights and independence. Day, evening, weekend, and hybrid classes are available. Day classes meet Monday through Wednesday from 8:00 am to 2:30 pm for 5 weeks. Evening classes meet Monday through Wednesday from 4:00 pm to 9:00 pm for 6 weeks. Weekend classes meet Saturday and Sunday from 7:00 am to 2:30 pm for 6 weeks. Be able to push and pull 50 lbs. Tuition costs $790. Students will need to purchase the textbook, gait belt, and navy blue scrub. Delores Homes Training Center, Inc.
Delores Homes Training Center prepares adults to meet the need for healthcare providers in long-term care. 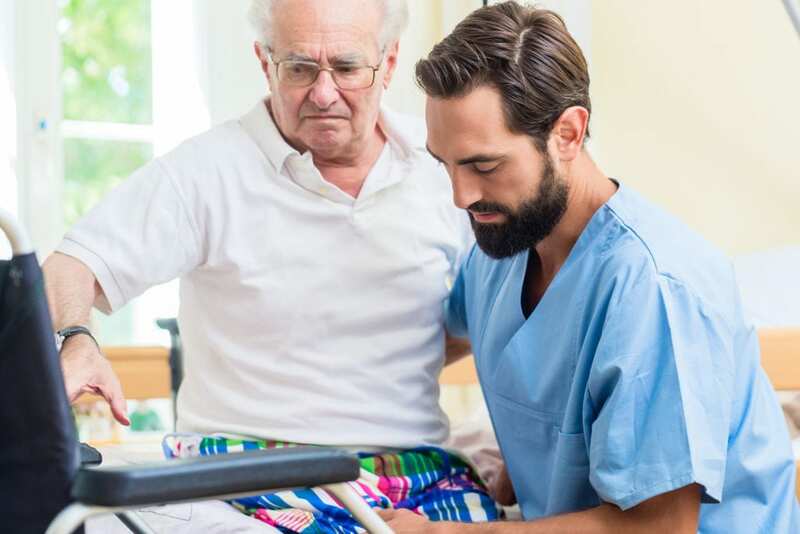 The curriculum follows the guidelines of the state and includes instruction in the classroom, skills lab, and supervised patient care in a long-term care facility. Day, evening, and online schedules are available. The school offers an occasional weekend schedule to meet the needs of working adults. Class sizes are limited to offer personalized attention to each student. The cost of the program is $750 and includes the state exam fee and state registration fee. Additional costs for the TB test, scrubs, gait belt, non-skid shoes, flu shot, and textbook must be covered by the student. The CNA training program at Mid-America Nursing & Allied-Health Institute covers 90 hours of lecture and practical instruction. The program is designed to give adults with no experience in healthcare the opportunity to develop the skills to enter the field of health. Core learning topics include mobility assistance techniques, nursing assistant care, patient safety, body mechanics, nutrition and diet, human anatomy, monitoring patients’ vital signs, assisting patients with the activities of daily living, and communication skills. Day and weekend schedules are available. Tuition costs $700 and includes a free e-text. Students must purchase uniform, blood pressure kit, stethoscope, gait belt, and shoes. The 96-hour nursing assistant program at Johnson County Community College delivers classroom and clinical instruction to prepare for a career in health. Students have the option to take the course in the traditional classroom setting or the hybrid format where part of the coursework is delivered online. Students learn daily hygiene, measuring and recording vital signs, patient positioning and transfers, bedside care, observation and reporting, infection control, safety and emergency procedures, and basic nursing skills. Students will attend clinical practice sessions where they will care for patients in a long-term care setting under the supervision of a registered nurse instructor. Attendance to all classroom and clinical sessions is critical. Students who successfully complete the program will be scheduled to take the Kansas State CNA examination. Use the contact information below for a current schedule and the cost of tuition. Midwestern College’s nursing assistant program follows the guidelines of the Kansas Department of Aging and Disability Services. Graduates will be eligible to take the state exam for certification in Kansas. The curriculum covers 90 hours of instruction in the classroom and long-term care facility. Course topics include anatomy and physiology, medical terminology, patient transfers, nutrition and feeding, patient rights and independence, range of motion, rehabilitation and restoration procedures, fluid intake and output, infection control, and safety and emergency procedures. In addition to tuition, students must budget for uniform, textbook, TB test, and supplies.